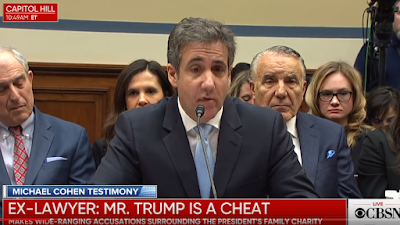 The same week that American Jewry went overboard castigating Israel for the inclusion of the political party Otzma Yehudit because of its connections to Rabbi Meir Kahane, ztz"l, Hy"d, a distinguished and holy Cohen, the world saw them represented by another Cohen. 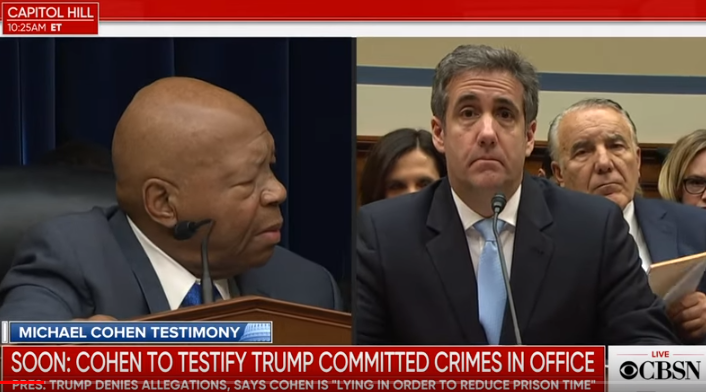 ...[Rep. Mark Meadows, R-N.C.] demanded to know how Cohen could call Trump a racist when Cohen himself brought Lynne Patton, an African-American woman, into the Trump organization (Patton is now a political appointee at the Department of Housing and Urban Development). 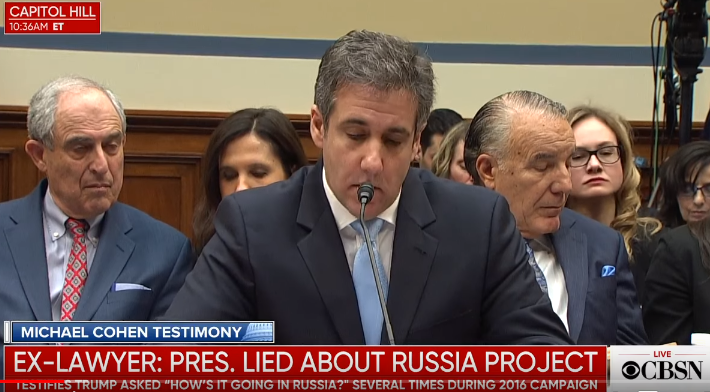 ...Answering Rep. Debbie Wasserman Schultz, D-Fla., whose political rise was short-circuited in part because of the email thefts, Cohen also implicated Trump’s Jewish daughter, Ivanka, saying she and her brother, Donald Jr., also were pursuing the Moscow deal well into the campaign. 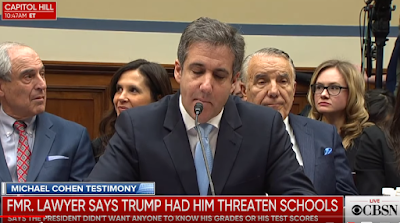 ...There were other subtle reminders of Cohen’s Jewishness, like when he was asked by a friendly Democrat about Trump’s recent insinuation that Cohen’s father-in-law was a criminal. And some on Twitter wanted to know what Rep. Chip Roy, R-Texas, meant when contrasted Cohen’s past support for Trump, which Roy said was self-serving, with those of “real Americans” who backed Trump because they wanted change. The last reference was apparently to attorney Lanny Davis, who represented President Bill Clinton during his multiple scandals in the 1990s and is close to Hillary Clinton. Davis, a Jewish communications professional who once served as a spokesman for The Israel Project, sat directly behind Cohen during the hearing. Just imagine what this is going to do to all of Mr. Trump's white nationalist supporters and then just imagine who they are going to take their anger out on, especially if this ends with an impeachment of the president. Thirty years after his assassination, most American Jews still bear baseless hatred for Rabbi Meir Kahane and trip all over themselves to be the first one to denounce him and anyone who shows him any respect. 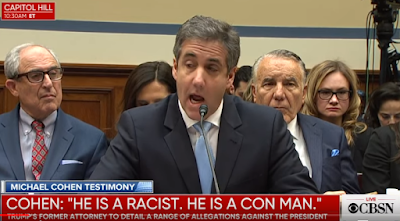 But, for this Cohen, who has given up all rights to the name, and his despicable acts... If any Jewish leader or organization has denounced him, I am unaware of it. The silence is deafening. "State of Israel: A repeat of the tribe of Ephraim's sin? Part III"
Will a Vote For Yachad Be a "Wasted" Vote? That's what "they" want you to believe. But, as I wrote elsewhere, the polls in the general media cannot be trusted because while they claim Yachad cannot get more than 1% of the vote, Yachad, as a choice, has never been included in even one poll questionnaire that I have received - and they seem to go out almost daily. Want to vote Yachad, but are afraid of the blocking percentage?? Join and register in our vote counters! They imposed a veto on us, so we will win alone. If you would vote for Yachad if you knew they could cross the threshold, please participate in Yachad's online poll and see if your vote counts or not. PS: I just wanted to comment on the current trend worldwide to use scare tactics in order to herd the sheeple into one corral or the other. It used to be that a candidate would woo voters by telling them how his candidacy would benefit the public. Now, it seems like the goal is to convince everyone how the other guy is an even worse choice than they are. What a sad state democracy has reached. Never before has the birur process been so clear. Hopefully, this means we are nearing the end of it. It seems like every Jew in the world has weighed in on the subject of the "racist, Kahanist" Otzma Yehudit party's inclusion with the Bayit Yehudi party for the upcoming Israeli election. Things have been said of them which have never been spoken against the Arab Knesset factions. Not a word has ever been spoken against an Israeli political party by Diaspora leaders as they have this week. All proving once again that we are our own worst enemies. Netanyahu cut a deal last week that paves the way for Otzma Yehudit, an extremist and racist group with roots in Kahanist political philosophy, to sit in the next Knesset when it opens. Otzma Yehudit - or Jewish Power in English – is an offshoot of a political movement that has been designated a terrorist organization abroad and banned from Knesset lists since the 1980s. That movement, founded by the late Rabbi Meir Kahane, considers Arabs and other non-Jews in Israel to be enemies of the state and supports replacing Israel's democratic government with a theocratic structure. This comes from a Jewish-American woman who heads an organization called Israel Policy Forum which advocates for a "two-state solution to the Israeli-Palestinian conflict." Dear readers, understand that this baseless hatred for Rabbi Kahane and everything he represents is an everlasting hatred for our holy Torah. Rabbi Kahane never taught anything that was not 100% consistent with the Torah. The more distanced a Jew is from the Torah, the more hatred he harbors for anything "Kahane." And this is just a taste of what is awaiting our righteous Redeemer who will accomplish everything that Rabbi Kahane only dreamed of - ridding the land of our enemies, conquering all of the Land of Israel, destroying all the places of idolatry, establishing the Torah as the basis for all our laws, rebuilding the Beit Hamikdash. And that's just for starters. Yes, there will be religious coercion, just like today there is civil coercion. That's what any system of laws requires - coercion. And all the teeth-grinding, mouth-foaming hatred of the masses who falsely claim it is they who uphold Jewish "values" and they who represent real Judaism will never be able to stop it. Sometimes I just wish all these anti-Kahanist "religious" Jews would simply read the prayers they purport to say three times a day and finally understand that they've been lying to God all this time, not at all wanting what they have ostensibly been asking for. Let this be a litmus test for you. If your stomach turns and you wrinkle up your nose at the mention of the name Kahane, you are sitting on the wrong side of Jewish history and the Mashiach you are anticipating will surely be your worst nightmare come true. They've been doing it all along - all the way back to Oslo (if not before). They handed over Gaza and Kever David and still people don't want to believe they intend to go all the way. We are like the proverbial frog in the pot and the water has been heating up, ever so gradually, over the last 30 years. ...“Netanyahu and Trump are coordinating the presentation of a plan to establish a Palestinian state the day after the election,” he said. ...“A day or two after the elections, they will present a plan to establish a Palestinian state on 90% [of the West Bank] and divide Jerusalem,” the New Right Party leader warned. According to Bennett, the next government will include the centrist Blue and White Party. ...In his initial comments to the press, Bennett said that the Trump administration had completed its plan for peace between Israelis and Palestinians. “Netanyahu and President Trump have agreed to come out with the plan to establish a Palestinian state on 90 percent [of the West Bank],” he said. In order to carry out such a peace plan against far-right opposition, a victorious Netanyahu will turn to the centrist Blue and White party of Benny Gantz in a bid to form a national unity coalition, Bennett warned. Now, I can understand why Netanyahu lobbied so hard for Bayit Yehudi to accept Otzma Yehudit and why the push to unite all the smaller, further-to-the-right parties. The over-the-top media coverage and commentary, including even AIPAC (and other American Jewish Leadership groups), denouncing the inclusion of "extremist Kahanists" is meant to scare the public in a massive move towards the "center" and provide the rationale for Netanyahu's planned move to the "center." The polls are also being reported in such a way as to make it appear that the only way to retain Netanyahu as PM is for him to move leftward towards the "center." We only have these poll reports as proof that certain parties have no chance of crossing the threshold or that "Blue and White" are leading the Likud. If polls (and their reportage) are so accurate, why even hold an election?!! All-in-all, it is a masterful set-up which will devastate all those who have put their complete faith in Netanyahu, the electoral process and the secular, democratic State of Israel. Remember: All the idols have to fall in the lead-up to Redemption. ...Netanyahu will address the American Israel Public Affairs Committee conference two weeks before Israelis head to the polls, and will likely use the opportunity to meet with United States President Donald Trump, who is expected to release his peace plan for the Middle East shortly after the elections. Time to play the Dennis Ross "card." We've come to the end of the line for the Peace Train. [Similarly, we find in Ezekiel 20:5, 21-22]: But the children rebelled against Me. They walked not in My statutes nor kept My ordinances which if a man do, he shall live by them. [...] I said I would pour out My wrath on them, to spend My anger on them in the wilderness. Yet I withdrew My hand and acted for My Name's sake, lest it be profaned in the sight of the nations in whose sight I brought them forth. This last quotation, regarding Israel's sins in the wilderness and G-d's decision not to destroy them lest His Name be profaned, relates to the sins of the golden calf and of the spies. The golden calf was an unbearably grave sin, and part of its punishment attaches itself to every single punishment brought upon the Jewish People, as our sages said (Sanhedrin 102a): There is no punishment that comes to the world which does not contain a minuscule portion of the [punishment for the] golden calf, as it says (Ex. 32:34), “On the day I visit, I will take this sin of theirs into account.”G-d was furious at a nation which, less than forty days after He revealed Himself at Sinai and they said they would first fulfill the Torah and only then seek explanations, exchanged their glory “for the likeness of an ox that eats grass” (Ps. 106:20). G-d decided to destroy this sinful nation, as it says (Ex. 32:10), “Now do not try to stop Me when I unleash My wrath against them to destroy them” and (Deut. 9:14), “Leave Me alone and I will destroy them, obliterating their name from under the heavens.” Moses, in his infinite love for the Jewish People, prostrated himself in prayer and entreaty for forty days and forty nights to tear up the evil decree, and none of his arguments had any effect – except for one! “Powerless!” Moses, the faithful shepherd who sacrificed himself for his love of Israel, entreated G-d on behalf of his people and cried out his last argument: “What will the nations say, in ridicule and mockery? Surely they will curse and blaspheme G-d, scornfully claiming that He is 'powerless'”. Israel were the seed of Abraham, Isaac and Jacob, chosen to be G-d's holy treasure, His special nation. Their destruction would have constituted G-d's reneging on His covenant due to inability to fulfill it. For this reason alone, “G-d refrained from doing the evil that He planned for His people” (Ex. 32:14). [About 1400 years later,] R. Yishmael ben Elisha was the last Kohen Gadol before the destruction of the Second Temple. It was clear to R. Yishmael in his holiness and divine inspiration that G-d was about to pour out His wrath on His nation, His land and His Temple. [See] Berachot 7a: One time I entered the Holy of Holies to bring the incense, and there I saw Akatriel Y-H, the L-rd of Hosts, sitting on a high and lofty throne. He said to me, “Yishmael, My son, bless me!” and I said to Him, “May it be Your will that Your mercy should conquer and override Your anger, and You should treat Your children with mercy, going beyond the letter of the law,” and He nodded His head to me. These words are hard to understand [...]. Does G-d need a blessing from mortal man on Yom Kippur, when He judges and rules over the whole world? Even stranger is R. Ishmael's blessing. How did he know that G-d would find it favorable? R. Yishmael knew that G-d was about to destroy His Temple and exile His children, which would lead to terrible Chilul Hashem. The nations' derisive question, “Where is their G-d?” would deprive G-d of His sovereignty, and He, too, would be in exile and servitude, so to speak. R. Yishmael understood that in this “zero hour”, G-d desired a solution that would spare His having to profane His name through the exile of His children and destruction of His Temple. Because of the self-sacrifice and Kiddush Hashem of the Leviim, which demonstrated their complete trust in G-d, G-d replaced the firstborn, chosen originally to be G-d's priests, with Leviim: “I have now taken the Leviim in place of all the firstborn Israelites” (Num. 8:18) G-d did this only because they had reached the pinnacle of self-sacrifice and Kiddush Hashem, when they were ready to kill their relatives and parents. This act demonstrated that their love of G-d superseded even their love for their most cherished relative. Following is Ramban (Ibid., v. 26): Seeing that the people were an object of ridicule in their neighbor's eyes, this being a Chilul Hashem, he stood at the gates of the camp and cried out, “Whoever is for the L-rd, join me!” (Ex. 332:26). He publicly killed all those who worshiped the calf, so that Israel's enemies should hear and the Name of Heaven should be sanctified through them, instead of the Chilul Hashem they had perpetrated. Or HaChaim (Ex. 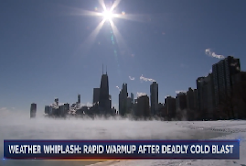 32:29) relates to the killing of Israelites: We might think that someone who did such a thing was spiritually flawed, possessing cruelty associated with wickedness. Moses therefore said, “Today you shall be spiritually completed” (Ex. 32:29). This is not a command, but an announcement that this day their spiritual powers would be made complete. Their deed was not a sign of any spiritual flaw. Quite the contrary, their “willingness to kill even their own sons” (Ibid) signified their approaching spiritual perfection. No mitzvah in the Torah is harder for the Jew than to destroy an entire Jewish city, and his whole nature rebels against this command. [If this goes even for a Jewish city, please understand its implications regarding non-Jewish entities in the Land of Israel!] If, all the same, he overcomes his selfishness and suppresses his evil impulse via this mitzvah, how great shall be his reward! How fully has he brought G-d, the Supreme King, to reign over him and accepted G-d's yoke. It is truly as if he has fulfilled all the mitzvot. Listen well, O Israel! G-d, Himself, decrees His dependency upon Israel, so to speak, our “both needing each other.” Had our sages not said this, who could have dared express it? Yet, once they did say it, how can we continue our rebellion against G-d, a rebellion rendered foolish and inane in light of these words? After all, G-d admits, so to speak, that in order to hasten the building of Jerusalem and the Temple, in order to return once more as King, thereby sanctifying His Name and eliminating the terrible Chilul Hashem, He needs Israel. That is, it is enough if Israel resume Torah observance, and then, for His own sake, to sanctify His Name, He will return to Eretz Israel and bring the redemption. Thus, G-d is “dependent” on us, and why should we not understand this? One might ask: Why does G-d enable flesh and blood to dictate decrees to Him? After multiple attempts to unite with other right-wing religious parties, Eli Yishai's YACHAD party will run alone in the upcoming election. Every offer was taken to Rabbi Mazuz for a ruling, but in the end, the offers and demands would have simply taken YACHAD's votes and left the party itself without any representation. I'm very happy with this decision as the entire process is just another aspect of birur. A clear choice needs to be offered. It is, after all, the Erev Rav who are the ones who want to mix everything up; dilute and water down everything - truth, strength, clarity. The only real unity we can attain is our unity around the Torah and our covenant with HKB"H.
Don't believe the scare tactics, the poll reports - who has a "realistic" chance of getting in or who can't possibly make it over the threshold. Remember that when Master Leftist Ehud Barak was Prime Minister and offered Arafat, y"sh, Judea, Samaria and half of Jerusalem, the Arabs chose to go to war. It does not matter who sits in the PM's chair. HKB"H's will gets done. There is always a chance there won't even be an election, as Iran's decision whether to attack Israel or not is also in HKB"H's hands. The greatest threat we face in the immediate future is America's so-called Peace Plan. In regard to this, it matters not whether it is Netanyahu or Gantz/Lapid in charge. No one short of Mashiach himself will stand up to American pressure to expel Jews from the Land of Israel, establish a terror state in our midst, and ensure that the Temple Mount remains firmly in foreign hands. The reality is that, sooner or later, regime change is coming to Israel and I, for one, am really looking forward to it. "State of Israel: A Repeat of the Tribe of Ephraim's Sin? 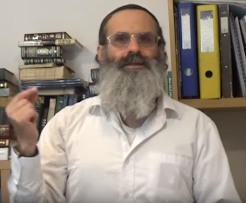 Part II"
"The Plot to Destroy America"
Rav Richter Short: "The Plot to Destroy America"
Every year around this time, a spirit blows through this land - a spirit of renewed hope and rejuvenation - that gives the world another push towards the final redemption. Purim/Pesach time is approaching and there are already hints that this spirit is beginning to blow even now. This is one of the outer gates to the Temple Mount. 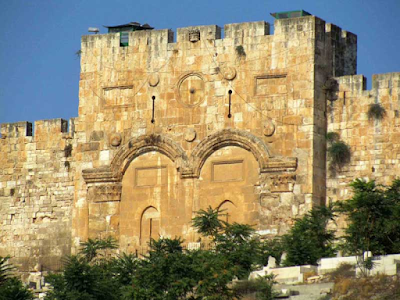 It is called the Golden Gate or the Mercy Gate (Sha'ar HaRachamim). We have a tradition, known also to the Muslims, that the Redeemer of Israel will enter through this gate. Therefore, our enemies have blocked it off, sealed it up and planted graves around it to prevent this happening, as if any power on earth could stop it! 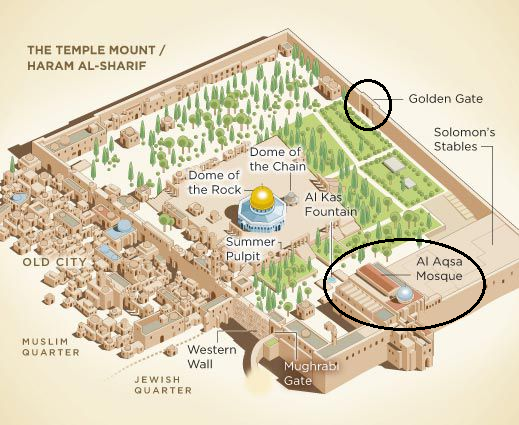 It is noteworthy that this week, there have been rioting and arrests on the Temple Mount of Muslims calling for the opening of the Mercy Gate! Not this one though. Just inside the Mercy Gate, there is an entrance to Al Aqsa Mosque (one of several apparently). Judging by the distance obvious from the picture above, can you imagine the size of what has been built underground? (See Secrets under the Al-Aqsa Mosque.) In the following video, you can see the "gate" under discussion being removed. While police remove this flimsy metal barrier in response to a Palestinian outcry on the Temple Mount this week, behind them stands the massive walled-up outer gate which Muslims have depended on for centuries to prevent the entrance of the Jewish Messiah. Heaven is just waiting for the Jewish outcry in order to open that outer gate and bring Mashiach's long-awaited arrival - in these days at this time. "Are You Being Led by an Erev Rav Rabbi?" Eli Yishai, during all the years of public service, was faithful to Da'at Torah, in total obedience to the spiritual leadership, headed by Rabbi Ovadia Yosef of blessed memory, but he did not speak about it, but Maran, in his many books, engraved it with a gold pen. Book after book, until his last days, openly as well as secretly. After the departure of Maran, a"h, Eli Yishai was called by the Gaon of Israel, Maran Rosh Yeshiva Rabbi Meir Mazuz, shlit"a, to lead the Yahad movement to establish a movement that would unite all strata of the public in complete obedience to the Torah. ...Eli Yishai continues in his noble ways, and with discipline to know Torah, with genuine respect and unequivocal obedience to the Rosh Yeshiva, he will continue leading the Yahad movement in order to unify the entire Jewish people under the leadership of the great sages of Israel. Yishai was prominent in his energetic work, on the mission of the greatest of Israel, out of concern for the weaker sectors of the population, the preservation of the Jewish character of the people of Israel and the perfection of our Holy Land. In the struggle for the people of Israel, Eli Yishai, under the media radar, directed the energies of media publicity, Eli Yishai devoted more to his work, and saved the unnecessary struggles stemming from publicity and patronizing friction. The Yahad movement derives its vision from the treasures of the Torah and the leaders, Gedolei Yisrael. The movement was established in order to fulfill the wishes of many of our Beit Yisrael brothers who wish to raise the banner of Torah while strengthening the Jewish character of the State of Israel. The love of Israel is deep; it is the foundation to unite together. For the first time, they all came together in a covenant, national religious, chareidi and traditional. This is our message to the people living in Zion. Our aspiration is to unite Israel into its tribes, national religious, chareidi, traditional and secular, around the absolute loyalty to our holy Torah and concern for the people of Israel in its own land and in the Diaspora. To ensure that our state will provide protection and security to the people living in Zion, while ensuring that all these values ​​will be founded and come from our holy Torah, all of whose ways are pleasant ways and all its paths are peace. The Torah is the soul of the people of Israel, the existential basis of the state and the future of the nation. As stated by Rabbeinu Saadiah Gaon: "We have no nation except one based on Torah." Therefore, the movement champions the task of strengthening the connection to the Torah and the multiplicity of Torah study as a central national mission. Together, we strive to realize the Torah through pleasant ways, while consolidating the identification of groups and communities in their own way. Our concern is devoted to all, in detail, and to listen to all parts of the people. We believe in our people wherever they are and in the lofty task of elevating them to the Torah, so we will not spare resources for bringing them near to the Torah. We were privileged to return to the Land of the Fathers after two thousand years of exile. The eternal connection between the people and their land is not the subject of negotiations, and we will strive to bring the entire nation of Israel to the realization of the importance and practical ability to apply Israeli sovereignty over the entire Land of Israel. The desire of the lovers of the people and the land is the education of heritage values ​​according to the Torah of Israel, as a factor that shapes the identity of society. We believe in providing equal educational opportunities for every child in Israel. The Jewish family has always been the true strength of the Jewish people. We will work to strengthen the values ​​of the Jewish family and to encourage birth. In accordance with the obligations of the Jewish people throughout the generations to stand on the right hand of the poor and assist the faltering and the weak, we will work to strengthen the weak, to empower charitable institutions and social benefits for the weak. Adhering to Maimonides' instructions regarding the laws of the gifts of the poor, we will act to correct distortions in an egalitarian manner to all citizens of Israel, regardless of religion or race. We will go back to educating for simplicity and solidarity and striving to strengthen the economy from a national and moral perspective. We aim to rebuild the Israeli welfare state in a way that will ensure more than minimum subsistence. Social policy must ensure a dignified existence, and reduce the socio-economic gaps that all of Israel hold for each other. The Yahad Party is active in the issue of recruitment under the direction of Maran Ziva and Rabbi Mazuz, who believe that Torah scholars should not be recruited, but if this is the case, we are grateful to the IDF soldiers who sacrifice their lives for the benefit of the State of Israel and its citizens. In youth who do not study and can not return it to the benches of the beit midrash, they must apply for military / civil / occupational service. According to the degree of suitability. The interface between the Torah and the state, which was pushed aside by the founding generation, will now serve as a complement to the establishment of a Jewish state. We will work to deepen the connection between the Torah and the state and society as a whole and against any trend that weakens this connection. The Torah, as the creator of Divine morality, obliges the representatives of the next public from Torah education, purity, and cleanliness. We strive for cleanliness and purity. Our goal is to set quality standards for the cleanliness of hands and moral purity in national systems. Over two thousand years of exile have passed since the arms of the fire licked our temple for the sake of sinat chinam. This is the hatred that separated a man from a man from a family and a tribe, which has covered us for thousands of years of blood and grief. The light of redemption has already shimmered and the cards have already gathered, and we are here together again, Ashkenazim alongside Sephardim, Yemenites alongside Ethiopians, this is we are already here so hatred is not superfluous ?! The separation between a community or origin, between a black skullcap and a crochet, for what and why ?! When the enemies from the outside stare at us, they do not distinguish between religious and secular, between traditional and ultra-Orthodox, they demand our blood because we are Jews who believe in one God and his beloved sons. If we still thought that it was impossible, the Yachad movement is the good news of redemption, for the first time as one home for all of the Jewish people, regardless of ethnicity or community, black kippah and crochet, we all believe in the Creator, love the Torah, our wonderful people, Which was given to our forefathers, Abraham, Isaac, Jacob. Dear Brothers and Sisters, give us the opportunity to unify the Jewish people, let us be partners in breaking the barriers that separate us. On April 9 this will be the test of the Jewish people, whether it chooses to keep the resentment and hatred, or to cleanse the heart and shout the good news, all of us a single, unique and united people against all our enemies. If anyone thinks they have to compromise the truth for the sake of pragmatism, they are lacking in faith in HKB"H. If anyone thinks they have to compromise the demands of Torah in order to ensure a Netanyahu victory because if anyone else gets into office Israel is lost, then they have no faith in HKB"H because even if, God forbid, Yair Lapid would be the next PM, he would still have to conform to Hashem's will and any mischief he would be allowed to make would only be to serve HKB"H's goals. As Yachad's mission statement is no different from what we are expecting from the Mashiach, in my opinion, a vote for Yachad is a vote for Mashiach. Let's show HKB"H that we trust Him enough to vote for Torah and Mashiach and leave the results to Him. Olam HaSheker - Can Mashiach Be Far Behind? Our mesorah tells us that this world is Olam HaSheker -The World of Lies (or Illusion). Never before in history has this been a truer description of our present reality. Never before in history has the illusion been so thoroughly exposed as it has been today. Without a doubt, there is no one and no thing on which we can depend or place our trust except HKB"H and our Holy Torah - the only enduring Truth. Elon Musk-Backed Software Can Churn Fake News Stories And Is "Too Dangerous To Release"
The ability of technology to spread disinformation has been a favorite talking point of the left since the 2016 election, and now it appears that environmentally-conscious poster-boy, Elon Musk, is contributing to the problem. OpenAI, a company co-founded by Musk, has rolled out a piece of software that can produce real looking fake news articles after being given just a few pieces of information to work with. An example of this was recently reported by technology website stuff, detailing an example published last Thursday. The system was given sample text of: "A train carriage containing controlled nuclear materials was stolen in Cincinnati today. Its whereabouts are unknown." From there, software was able to write a seven paragraph news story, including quotes from government officials – with the only catch being that the story was 100% made up. AI systems can now create images of humans that are so lifelike they look like photographs, except the people in them don’t really exist. A diamond in the rough can fetch over $2,000 per carat. These precious stones are mined deep within the Earth where they were forged in extreme pressure and heat over thousands of years. However, companies in mainland China have now mastered advanced technology to manufacture them en masse in several weeks or even in days, with products almost indistinguishable from natural ones, reported Xinhua News Agency. China, a significant consumer of mined diamonds, has a decent chance of becoming a large supplier of synthetic gems and could reshape the entire global diamond industry, analysts warn. ...It is almost impossible to tell a fake diamond from a mined one with the naked eye. Experts with high-tech computers can distinguish the two, but that distinction is so irrelevant to the Federal Trade Commission (FTC) of the US, that the previously specified "natural" origin within the FTC's definition of a diamond was removed last year. In its handbook for Jewelry, Precious Metals, and Pewter Industries, the FTC ruled "based on changes in the market, the final Guides eliminate the word 'natural' from the definition of diamond...because lab-created products that have essentially the same optical, physical and chemical properties as mined diamonds are also diamonds." Olam Hasheker – Living Inside Hashem’s Divinely Produced Movie! "A Betrayal That Must End"
ELECTIONS: Why Does It Matter? 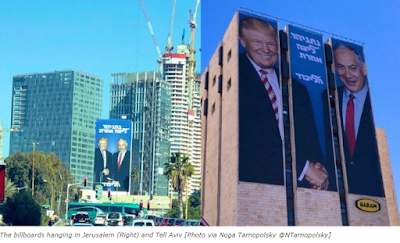 The subject of the upcoming election in Israel is making up a lot of the news these days and it is only going to increase as April 9, 2019 approaches. I don't think I can ignore it here any longer. For awhile I was very ambivalent about whether to engage in the "democratic process" (such as it is) or not. Then I realized that we live in the World of Asiyah - the World of Doing - where action is required. We have to do as much as we possibly can and then leave the results to Hashem. My political philosophy is to find the best possible candidate who represents Torah values, strengthens Jewish identity and clearly has Am Yisrael's best interests at heart and support them without calculation as to whether they have a "realistic" chance of winning - because the winning is up to Hashem. No vote is ever "thrown away," they are all counted in Shamayim. Our willingness to support the right person without calculation for the outcome may only be a test of our readiness to accept Mashiach, who also will not be the favorite of the majority. Should no such candidate be found, I would abstain from voting altogether, but such is not the case. We actually have three decent parties who I believe meet my criteria to choose from - Moshe Feiglin's Zehut, Baruch Marzel's Otzma Yehudit and Eli Yishai's Yachad. ...why am I reminiscing about the expulsion from Gush Katif? One thing led to another and I discovered something that I think needs to be set right. I have heard many people curse Shas and accuse the religious Sephardi party of enabling Sharon to carry it out either because (1) they voted in favor of it, or (2) they abstained from voting. The party leader at the time - Eli Yishai - called it for what it was, the "miserable expulsion," instead of the government-and-media-favored term "disengagement." All eleven Shas MKs voted against the plan, on the orders of the party's spiritual leader Rabbi Ovadia Yosef, as did six National Religious Party members, six National Union MKs and five United Torah Judaism MKs. You can read an entire breakdown of the voting results right HERE. I don't know how or why this disinformation has persisted, but I hope this will help to set the record straight. ...If there is forced conscription of the ultra-Orthodox, Yishai vows, there will be chaos. ..."There will be marches and processions of thousands, tens of thousands, in the streets," he said. "Thousands of yeshiva students will fill up the jail cells. Military Police officers will be running around aimlessly in Bnei Brak. You'll have a civilian uprising, pandemonium. Worst of all, those who are enlisting today will refuse to enlist en masse." ..."The Jewish people have been persecuted for decades," Yishai said angrily. "What haven't we been forced to endure? Expulsion, inquisition, Holocaust. Still, despite all of this, we have an identity, and this is all due to our Torah. If this wasn't preserved in every corner of the world, we would have disappeared, erased just like the empires that disappeared. We came to the State of Israel. Yet, here, of all places, in a world in which there are no rules as to who studies Torah and who doesn't, here people want to put quotas. Such a thing is unprecedented, and it will not ever come to pass." Yishai shifts the conversation to changes that are already taking place. "This concept of 'the ultra-Orthodox don't serve in the army' is nonexistent," he said. "The figures show that there are thousands who are waiting to enlist in national service and the haredi Nahal infantry unit. There's even a huge influx of ultra-Orthodox youths going to college. Since the passage of the Tal Law, there's been a steady increase ? and the percentages are climbing quickly ? of ultra-Orthodox who are integrating into these frameworks. 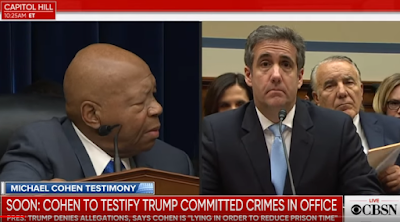 What happened, however, was that the quotas stipulated in the law by the state were never met because the treasury and the defense establishment did not take sufficient action to meet them." "The Defense Ministry doesn't want a lot of ultra-Orthodox soldiers in the army because it needs to make the necessary contingency plans and this costs a great deal of money," Yishai said. "When the ultra-Orthodox public was offered a platform that met its needs as they pertained to kosher food, the presence of female soldiers, and the content of what they are taught, it agreed to go for it. This was mainly because this was done through agreement and consensus, not by coercion." It's really worth reading the whole thing HERE. More to come, iy"H. Thanks for reading!! "A Hebrew Lesson From Linen and Wood"
In the Temple, שש and בד ['Shesh' and 'Bad'] were eternal symbols of our duty to trust in G-d, Who created the universe and directs it, Who 'brings low and raises up' (I Sam. 2:7). שש and בד evoke the shesh [שש also meaning six] from the six days of creation, through which G-d, alone [לבד] and set apart [בדד], created the world. The purpose of Creation was the Exodus from Egypt. That is, G-d created the world so mankind would know His greatness and might, praise and extol Him, and seek to emulate Him in thought and conduct. The Exodus concretely showed the world G-d's greatness and might, when He withdrew His nation from servitude to a nation from which until then not one slave had managed to escape, and established Israel as the Chosen People who would make known G-d's might to the world. There is great significance to G-d's having called the ark poles [and, accordingly, the staves of the altar in our Parasha] a בד, ['Bad'] and not a מוט, ['Mot', also meaning stave or pole], because while 'Mot' can mean something that carries, it also connotes falling and collapse, as in, 'The earth trembles and totters ['mot hit'motet']' (Isaiah 24:19); and, 'All the foundations of the earth totter ['yimotu']' (Ps. 82:5).Thus, 'Mot' can mean both ascent and lifting up, as well as falling down. This is the connection between 'Mot' and 'Matah' [מטה]— meaning 'down'. Moreover, the person without strength collapses in bed ['mitah',מיטה]. 'Mavet' [מות]— 'death' — is also tied to 'Mot', for death is permanent collapse. Thus, every rod fashioned by man to strengthen and support, carry and lift, can ultimately break and collapse. Yet, the rod G-d commanded to be made to carry the ark cannot collapse and break, because it symbolizes the power of G-d, Creator of the Universe, of Whom it says, 'G-d established the earth upon its foundations that it should never ever collapse' (Ps. 104:5); and, 'The world is established. It cannot collapse' (Ps. 93:1). The ark pole is not a 'Mot' — it cannot collapse. Whoever trusts in what the ark pole represents, G-d's infinite power, will never falter. As it says, 'He will never let the righteous collapse' (Ps. 55:23), and, 'The righteous shall never collapse' (Prov. 10:30). The 'Bad' is not a 'Mot', but the symbol of Divine mastery and monarchy, of the yoke of His kingdom which will never collapse. The 'Mot', on the other hand, symbolizes the yoke of the nations which G-d broke during the first redemption: 'I am the L-rd your G-d Who brought you out from Egypt where you were slaves. I broke the bands of your yoke and led you forth with your heads held high' (Lev. 26:13). Precisely when the Kohen Gadol is dressed in linen, and precisely when he stands between the ark poles [Badim], the poles of faith and trust in G-d, does the Kohen Gadol perform the Yom Kippur service. The holiest man is Israel on the holiest day in Israel performs the service dressed in linen, as stated above, and standing between the poles [בדים]. Indeed, linen garments were reserved for those isolating themselves in Divine service in the Temple, for they were the symbol of the Master of the Sanctuary Who created His world in six ['Shesh'] days. G-d therefore decreed that His kohanim must serve Him in linen garb, called 'shesh' [שש]. Following is Or HaChaim: “Israel shall thus dwell securely”: When? When they are alone. “They shall dwell” naturally follows “He shall proclaim, 'Destroy! '” G-d commanded Israel to annihilate every soul of the inhabitants of the land. By doing so, “Israel shall dwell securely, alone[בדד].” The Jew who believes and trusts in G-d, in בדים, will arrive at truth and faith and tranquility, whereas he who trusts in man, in human strength, will arrive, G-d forbid, at, 'How does the city sit alone' [בדד](Lam. 1:1). To our sorrow, those who try to pervert the separatist faith and trust of 'a nation that shall dwell alone [לבדד]' (Num. 23:9) by claiming that it is forbidden to rile up the nations, and that the Jewish People, even when powerful, still depend on the nations, have no faith and distort the whole concept of trust in G-d. Yet faith and trust in G-d are no small matter. The Jewish People must prove their trust in G-d by difficult, frightening, and sometimes ostensibly dangerous acts, acts that demand of Israel courage, acts which by their very nature show disdain for the non-Jew, anger him and threaten to bring a confrontation between him and Israel, and all must be performed with complete faith and trust that if Israel do what is decreed upon them, then G-d, too, will fulfill what He promised His treasured nation. We must know and grasp this great principle, which is the key to speedy, magnificent redemption, without suffering or tragedy. A brilliant redemption, in which G-d's promise of “haste” (Isa. 60:22) is fulfilled, will come only when the Jewish People are alone, set apart, in isolation, and trusting fully in G-d to defeat our enemies. "The Holiest Object on Earth"